A new Society Committee has been formed to study U .S. commemoratives issued in the 1930s during the tenure of Postmaster General James A. Farley. The Farley Era Committee will focus on the commemorative postage stamps issued between 1933 and 1940 (Scott # 727 – 898). 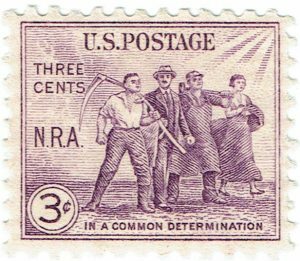 Particular focus will be placed on the social and political undercurrents of many of these issues, and the way the stamps of this period reflected the cultural trends of the Great Depression.